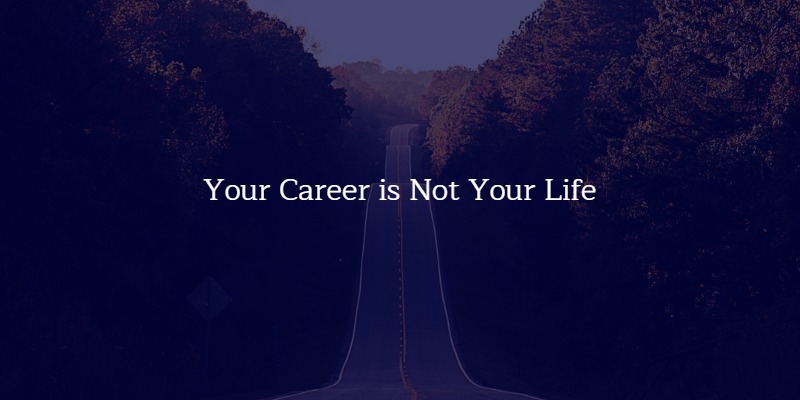 Too often we come across people, or even become people ourselves who seem to be obsessed with our careers or jobs. We spend every hour of every day investing all of our energy into our jobs without even realizing it and eventually if or when we start to despise our job due to whatever factors contribute to that feeling, what are we left with? A life we despise? Perhaps, or maybe just a giant void. I am a huge advocate of diversifying knowledge, peer groups and activities in one’s personal life. If you are a developer and passionate about computers look into print on demand branding, if you are an accountant full time and get involved in activism. There’s ton’s of possibilities of being able to acquire new skills and be involved in new projects without taking away from your career, but rather contributing to it. A person with multiple layers of knowledge and the ability to pull inspiration from multiple sectors or areas of life is a much better developed employee and will have far more success in their career. None of this means that you shouldn’t be laser focused on your skill set and attempting to be the best at what you do, but it means that there is serious benefit to expanding your knowledge and experiences. I am all about “use cases” and data driven decision making. So here is an example. John is an amazing graphic designer. He works for a large automobile retailer (chain of car dealerships) and handles all of their online advertising creative. In John’s personal time he is a passionate father, husband, classic car enthusiast and marathon runner. He’s so passionate about marathon running that he organizes a marathon every two years to raise money for charities that support children battling cancer. At his annual board meeting for the marathon he meets Dwayne. Dwayne is a childhood cancer survivor and a motorcycle rider. Dwayne rides his motorcycles all over Europe every summer with his wife Janine. Janine, Dwayne and John go for lunch the next day and Janine explains to John how amazingly some of the car dealerships are advertising on mobile devices in Europe. John researches the advertising, finds examples and brings it back to the team at his company. They test the new marketing initiative and revolutionize their dealerships advertising and targeting capabilities.